With The Rider, Tim Krabbé has created a book unique in the ranks of sporting literature. He describes one 150-kilometre race in just 150 pages. In the course of the narrative, we get to know the forceful, bumbling Lebusque, the aesthete Barthelemy, the Young Turk Reilhan, and the mysterious rider from Cycles Goff'. Krabbé battles with and against each of them in turn, failing on the descents, shining on the climbs, suffering on the (false) flats. The outcome of the race is, in fact, merely the last stanza of an exciting and too-brief paean to stamina, suffering, and the redeeming power of humour. 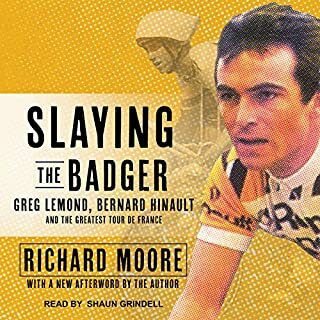 This is not a history of road racing, a hagiography of the European greats or even a factual account of his own amateur cycling career. Instead, Krabbé allows us to race with him, inside his skull as it were, during a mythical Tour de Mont Aigoual. One of my favorite quotes from the book: "Every once in a while someone along the road lets us know how far behind we are. A man shouts: ‘Faster!’ He probably thinks bicycle racing is about going fast." Part memoir, part rant, part poetry, it is the story of a bike race in the subjective voice of one racer. The fictional 150 km 'Tour de Mont Aigoual' is the scene, and the characters are the fellow riders and the unforgiving terrain. I love how Krabbe so accurately renders the ceaseless inner monologues that occur while cycling. This book is perfectly suited to the audio format, and wonderfully performed by narrator Mark Meadows. 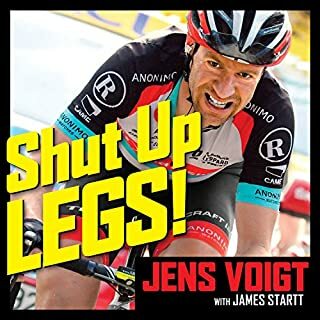 The words, the language, are so beautifully crafted, so incisive, witty, and economical… I am so pleased that Krabbe turned his copious literary gifts toward cycling. This book has earned its status as a classic of sport writing. What made the experience of listening to The Rider the most enjoyable? As an amateur cyclist myself - I was looking for a book that took me inside the mind's eye of racer. This book did exactly that. Krabbe' takes the reader through a 135 Kilometer race - the Tour du Mont Aigoual, describing it in the first person. You will feel like you are along side him. Along the way, he describes a bit of history of his competition and has flashbacks to his youth. Whether as the kid racing friends around his block, a Chess Grandmaster, or, as he is now, a professional cyclist, Krabbe' has a competitive spirit that take him to the top cycling in that era. Not yet - but Mark Meadows did a fine job narrating it. If you could rename The Rider, what would you call it? As Hard as I can go - one rider's memoir about one of the toughest bike races in Europe. I enjoyed the book a lot - there were one or two chapters which dragged on a little but by the last chapter - I was glued to my iphone listening to the narration like I was watching the final seconds of the Superbowl, with both teams tied and watching a long pass to the end zone. That's how I felt. Good Job Tim - I'm going to be Googling you and this race and the riders you mentioned to find out more - you sparked my curiosity. I thoroughly enjoyed reading this book and years later listening to it. The narrator does a great job. The insights into the thoughts of a peloton rider whilst in the throws of effort are funny at times and expose the reader to all the emotions of an amateur sportsperson. My favourite quote “He’s licking the other riders plate clean before he starts on his own”. listen while climbing your favorite mountain! A beautiful piece of writing that shows that enlightenment can come from many places other than silent zen retreats. And with much more excitment. Fantastic narration as well. Great story told written brilliantly! Tim Krabbé didn't miss a beat or detail. He managed to extract the thoughts and emotions every avid cyclist has felt at some point in there ride. I stopped at chapter 14, and started over, SO good. and I had read the book previously. I wasn't expecting much from this book, just something to listen to while I worked out to keep me in the right frame of mind. But I found The Rider just delightful. It took a little while for me to get into it because the narrative style kind of jumps around, but there are some nuggets of really fantastic prose in there. You know those ah-ha moments you get when, say, listening to Bob Dylan lyrics when you think, "I've never heard it described that way, but he just nailed it!" I had dozens of moments while listening to this book. It was a great little read for people who know the struggle of bike racing. I've listened and re-listened to it several times and stil can't find it borimg. If we only had more cycling books of this caliber! I've become a fan of Mark Meadows, allways on the look out for more books narrated by him. manage in your yesterday moments. A classic. 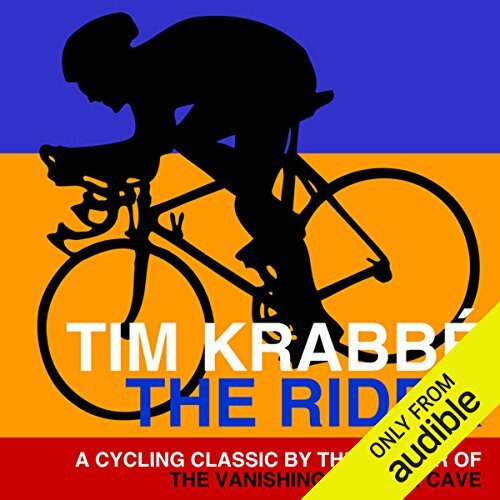 "The Rider" by Tim Krabbe is well known by cyclists to be one of the great books about road cycling and racing out there. I read the book when it was re-released several years ago and as soon as I had finished I started from page one again and re-read it. When I saw that it had finally been released as an audio book there was no hesitation, i immediately downloaded it. ...well, not quite, but I couldn't resist the pun! A great little story that captures the dogged determination of the racing cyclist very well indeed. I enjoyed the little caption stories about the great cyclists, and loved how these weaved into Krabbe's own tale. The surreal meanderings worked well for me- the continual attempts to start and restart a long division sum are just the sort of things that happen during a slog of a long ride. This is obviously a book that has been well researched in person! It is from the 1970's and has a historical interest to it- but also feels modern. Undoubtedly the characters, personalities, and single minded blind determination will all be present in the modern scene. It lacks reference to drug use, but is probably a fresher and 'purer' tale without having to incorporate that confounding factor. A modern version of this story would not be able to avoid mention of drugs. I'm a runner, I love to run and love to read books about running. A nasty case of patella tendinitis means running is not an option at the moment so I've had to take up the bike, I've always found cycling tedious in the extreme. 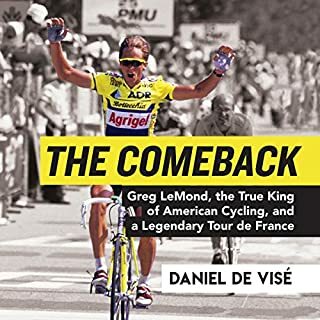 With this in mind I went searching for a read to engage me in the art of pedal pushing, I chose Tyler Hamilton’s excellent "inside the tour de France" autobiographical expose of the Armstrong years and followed it up with this, and I'm so glad I did. It’s such an engaging read, you really feel personally invested in each climb and every break, so much so that I felt out of breath on occasion! 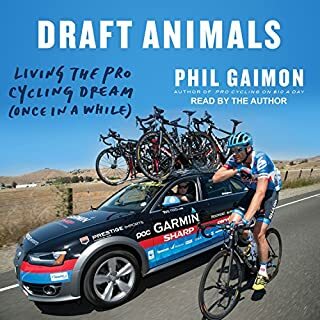 The first person narrative works so well to portray the feeling of being in a road race and I've enjoyed this read so much I’ve listened to this three times now and I'm still on the bike! Bought this on a bit of a punt, it sort of looked interesting. Turned out to be fascinating. Glad I took the risk. 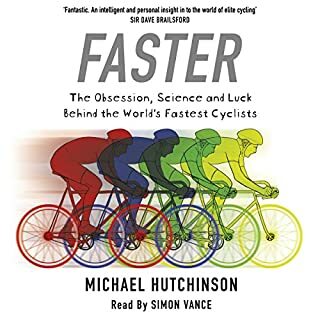 Very well read and matches the ebb and flow of road cycling. Feels like you are there with the breakaway. What did you like most about The Rider? I really enjoyed how you get drawn into the moving the chess game that is the race. The rider's constant assessments and insights give an understanding of the challenges of a race, both physical and mental. I had already read the book before I bought the audio version, the narrator does the book justice - highly recommended. I have just finished listening to this and I want to listen again. 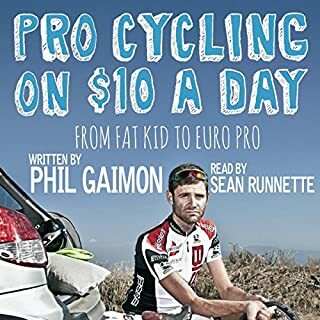 It's a really interesting account of both cycling and life in general, I recommend this to everybody.